Make accessories to ‘me’ time or a gift for someone special. Want to give unique, handcrafted gifts this holiday season? Why not make them yourself? Join our relaxed, playful class on how to make aromatherapy goodies for the folks on your list! 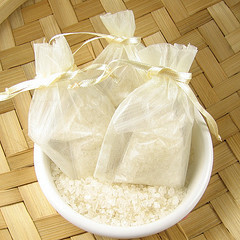 Make and take home sweet scented Bath Salts, melt-your-bones Massage Oil and enticing aromatherapy Perfume. Bring a friend and have some fun… and TRY not to keep your masterpieces for yourself! Call/text Jennifer at 613-438-5955 or Kyley at 613-885-9016 to register. $20 materials fee – prepayment required to hold your spot. Maximum 10 – book now so you don’t miss out!